Well here I am, in Australia now enjoying warm sunny weather and clear blue skies. It’s a little odd to think this is where I’ll be for the next 9 months or so. Having been stuck on a plane for most of a day there’s not much to blog about. The movie selection let me see the new Indiana Jones film without having to pay for the privilege. It really wasn’t as bad as I expected, which is to say I expected it to be dreadful. In Bruges was pretty good, quite dark and quite funny, but not worth the hyperbole used to sell it on the poster. Forgetting Sarah Marshall was also a lot better than expected, amusing in places and not just because I have an inexplicable weakness for romantic comedies. However I’m not going to review movies as a means to generate blog content, back to books. 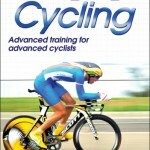 Whilst climbing in the Alps I was recommended a book by Michael the other guy on the course. Actually I was recommended 2 books but this isn’t a review of the one on the secret techniques for picking up women. Instead I looked for a copy of The Alchemist by Paulo Coelho at the airport bookshop. Michael had recommended the book as life changing. A story of a boy following his dreams above all else. Whilst I’m inclined to be cynical about claims that something might be life changing, the theme seemed relevant to me and the trip was about to take. Also Michael was following his own dreams with similar dedication and to me demonstrated an admirable focus towards this. If this book as claimed had influenced him into this state then it seemed worth some consideration. Having bought it I was a little shocked and discouraged to read a positive review by Madonna on the rear. So the novel itself is quite short and a quick read. It has characteristics of modern parable both for the good and bad. Characterisation is weak, they’re just tools to move a simplistic narrative forward. The language is quite simple and whilst this might be an artefact of translation I suspect it’s more likely a deliberate method to invoke the feeling of parable. Taken at it’s most literal it reads like pseudo-spiritual mumbo-jumbo and initially I found little positive in it. As time went on I found that I could enjoy it much more if I considered it metaphorically and instead looked to see the view the author was expressing about following our dreams. I was perhaps helped by the author’s note preceding the story which stated the 4 obstacles to achieving dreams. As events unfolded I tried to see how it referred back to these four. I came to largely dismiss the spiritual aspect of events or their explanations, instead looking for approaches to life. Essentially the parable suggests the world is set-up to support those who chase their dreams, but to do so you have to be in tune with the world. Here meaning to be able to communicate with the Soul of the World, in fact with the essence of anything. For those of us who prefer an analytical approach over such things I read a parable that following your dreams requires a focus on the details to reach a level of adeptness to survive and advance. Personally I didn’t find it life changing, in part because I am already following my dreams to an extent. Perhaps it’s a little affirming of the choices I’ve made and even reflects some of the experience I have had. It would be fair to say some of the doubt and fears mentioned as obstacles in your path were relevant. The story itself is a bit too heavy handed and simplistic for my taste and whilst appropriate for a parable it just felt a little artificial. However it was thought provoking though not in the way I think it’s expected to be. Rather than inspiring I looked to see how this fitted to my own views on life and the choices I’m making now. Oh and it’s also short and bloody expensive considering that! It’ll be back to training and life in Australia from now on. I’m already enjoying things starting my first day with an hours run to the beach and back. Warm weather, sunshine and beautiful views!